Aaah-Choo! It’s that time of year again, at least for allergy sufferers! Do you have a cough that comes on suddenly and never seems to go away? Does your breathing become impaired seemingly out of nowhere? Do you have itchy eyes or a never-ending runny nose? It can drive you mad! Allergies move in and out (at least the airborne kind), but are especially difficult for most people in Spring and Fall. If you are having allergic reactions, the cause could be from an auto immune system that is not working properly. You gut acts as your immune system control center. The body needs lots of probiotic foods that will help support the health of your gut. Add immune building formulas to a probiotic-rich diet, to keep your allergies under control! Read on to learn more about how you can get through allergy season without having to succumb to the use of over-the-counter drugs. Your body will thank you! Allergy occurs when a person’s immune system reacts to substances in the environment that are harmless for most people. These substances are known as allergens and are found in dust mites, pets, pollen, insects, molds, foods and some medicines. If you have an allergy, your immune system views the allergen as an invader and a chain reaction is initiated. White blood cells of the immune system produce antibodies. These antibodies attach themselves to special cells called mast cells, causing a release of potent chemicals such as histamine. Bees – and many, many more! The list goes on and on! How do allergies begin in the body? Weak or stressed adrenal glands due to fatigue, nutritional deficiencies, stress, go-go lifestyles, negative emotions such as worry and fear and excessive toxic substances in the body, such as cigarette smoke, can lead to allergies of all kinds. We don’t have to look far in this fast-paced world we live to wonder how many of us have weakened or stressed adrenals. Adrenals can be rebuilt with lots of rest, a nourishing diet, and supplementation including vitamins A, C, Ultra D3, and E.
Which areas of the body may be affected? The nose, eyes, sinuses and throat – When allergens are breathed in, the release of histamine causes the lining of your nose to produce mucus and to become swollen and inflamed. It causes your nose to run and itch and violent sneezing may occur. Your eyes may also start to water and you may get a sore throat. The lungs and chest – Asthma can sometimes be triggered during an allergic reaction. When an allergen is breathed in, the lining of the passages in the lungs swells and makes breathing difficult. Not all asthma is caused by allergy, but in many cases allergy plays a part. The stomach and bowel – Most stomach upsets are caused by richness or spiciness in the food itself, rather than an actual allergy. However, foods which are most commonly associated with allergy include peanuts, seafood, dairy products and eggs. The skin – Skin problems such as eczema (dry, red, itchy skin) and urticaria (also known as hives) often occur. Hives are white itchy bumps which look and feel like insect bites. Food may be a factor in some cases of hives and eczema. Could My Allergy Really Start in My Gut? Your stomach and intestines contain billions of good and harmful bacteria, essential for digesting food and supporting your immune system functions. Probiotic actually means “for life,” while antibiotic means “anti-life.” That’s an indication of how these amazing bacteria fight for our bodies against disease. For the gut to provide some protection to the body, the gut creates a protective barrier called the “mucosal barrier,” to help keep out the bad stuff. This wall is built up of the cells of the gut, a mucous layer, and the gut bacteria. When allergens cross this barrier and enter the bloodstream, it causes allergic reactions. What is amazing about the research is that taking probiotics has been shown to not only decrease allergic reactions in the gut, such as food allergies(2), but whole body allergic reactions also improve. Probiotics have been shown to reduce diseases such as eczema, hay fever and possibly even asthma(3). Probiotics are truly a miracle remedy, and not just for allergies! Populating your gut with beneficial microflora improves your skin, helps you maintain a healthy weight, gives you energy and improves your overall well-being. Containing 10 different strains of probiotics, yielding over 25 billion “live” bacteria per capsule, our Pro-Biotic Max formula supports the absorption of nutrients in the stomach and intestines, improves elimination of toxic compounds and boosts immune system response. Suggested Usage: As a dietary supplement, take 1 capsule daily with 8 oz water on an empty stomach. Best taken immediately upon rising and nothing else for 30 minutes, before retiring at night, or as directed by your healthcare professional. Incredible…It's Like Having a 3rd Lung! Luciano Pavarotti is said to have performed 250 times a year and never once lost his incredible voice. Colds, the flu, allergies, asthma, not even a hoarse throat, ever affected him. All opera singers can attest to this. Their lung capacity and health is not only inspirational in their performances, but a medical marvel. Why then are so many people suffer from critical lung problems and difficulty breathing properly and fully? And always carrying a cold? As usual, I discovered the secret in China, at the famed Shanghai Opera House no less! The next time you are in Beijing or Shanghai, get tickets to their Opera Company performances – they perform just about every night. No doubt like me, you will be overwhelmed with the emotion, power, beauty and majesty of the event, particularly of the power of the tiny female singers. Many of these incredible women are in their 70’s and 80’s yet can still lift the roof with the power of their voices. What do they do, to sing so strongly night after night I wondered, when most people I know can barely keep up with a simple 3-minute song at the local karaoke bar! Well, as usual, I dug into this to find what I think is the greatest lung health formula in the world. If you get constant colds, or worse suffer from a respiratory impairment like emphysema or cystic fibrosis, pneumonia, asthma, bronchitis or allergies, your lung savior is at hand. What If You Could Have a 3rd Lung? First, some quick background. I am using Chinese Opera singer’s amazing lung capacity for a good reason. 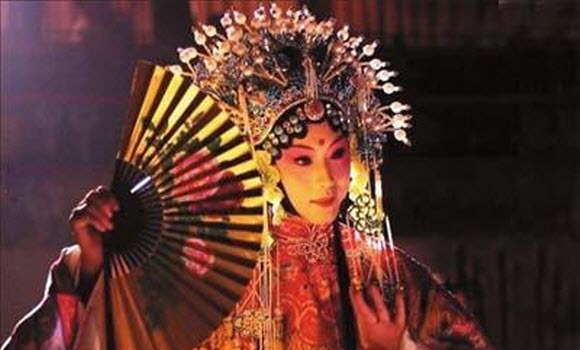 Chinese Opera together with Greek tragic-comedy and Sanskrit Opera are the oldest dramatic art forms in the entire world. There is a gift here for you and your lungs. The history, makeup, music, costumes and of course, the voices of their opera stars is a incredibly powerful demonstration of the power of the voice. And of our lungs. Along with Water and ionic Trace Minerals, Oxygen is necessary to create and sustain life. Miss any one of these and you’re dead. To the Chinese and the Sanskrit’s (Ayurvedics), this is the power of the universe itself. We can go without food for several weeks, but we cannot survive more than a few days, a week at most, without water. Oxygen is the most precious of all. How long do you think you can hold your breath? A minute? 30 seconds? Go ahead, try it. Life soon ends without breath! In Chinese medicine, the Yin and Yang, the forces of the universe are always to be balanced. Our lungs provide the yin, the breath of life itself. And always to be nurtured. So, after my visit to the famed Shanghai Opera House, more than 25 years ago now, I visited the herbalists at the equally famed Institute of Traditional Chinese Medicine and asked them what was it that these opera singers used to keep their lungs so strong for the nightly performances year after year? Over to the big bell jars of herbs and sticks and stones they went, pulling out amazing things that we then slowly brewed into a dark, dark brown concoction for me to try. As a former marathon runner, I wanted to see what effect this would have on me. Whatever it was that the herbalists brewed up for me, like the witch’s cauldron in Shakespeare’s Macbeth, it all worked. I was running like a gazelle, not even out of breath for ten miles at a time around the public gardens in old Shanghai. Even when I stopped, I wasn’t out of breath. It felt like I had a 3rd Lung! A "Shroom" to Conquer the World! The overwhelming majority of the requests we receive each day stem from immune system deficiency problems. America’s over-reliance on pharmaceutical drugs and a truly destructive modern-day dietary lifestyle has literally destroyed our natural immunity. No wonder overnight calamities like the Bird Flu and Swine Flu wipe out thousand upon thousands of people. The overuse of antibiotics has made the problem far worse! We wrote an in-depth report on this topic. If you missed it, read our article published on our website, What’s for dinner – Antibiotics! While living in China studying traditional Chinese medicine many years ago, I noticed that almost no one ever came down with a cold and flu. It was practically unheard of there. I asked my professor about this and he responded the Chinese cook with and brew teas from “magic mushrooms” that boost the body’s immune response. He likened it to having a heavy door to your house, where intruders could not get in. 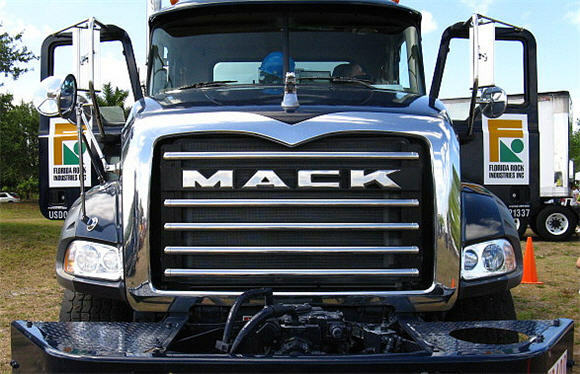 When I came to the United States, I brought with me a notebook filled with research on how each of these mushroom worked, and put together a formula called Immune Support that is so incredible; we call it the Mack Truck of immunity boosting formulations because it’s THAT powerful. So many people are sick as a dog, or worse they are in a desperate fight for their life. The mad medico’s keep pumping people full of drugs, and when that doesn’t work, they reach for chemotherapy and radiation, which just makes the problem worse by destroying the very immune system that is struggling with all its might to fight the infection or disease that has taken hold. Where is the logic in that, I ask you? Despite having more than 20% of the world’s population, the Chinese do not have the incidence of illness like Americans do. If they do get a cold or flu, it goes away in days instead of sticking around for weeks or months like it does here in America. What is their secret, you ask? Mushrooms! Yes…Medicinal mushrooms with incredible healing powers. Chinese medicine extends over 5000 years. Count all the zeroes will you, that’s Five Thousand, not a measly 120 years like in America. The Chinese observe “nature in action” and then apply it. The power of these extraordinary mushrooms to boost the immune system to respond to everything from the common cold, deadly viruses, influenza attacks, Multiple Sclerosis, Lupus, and even fatal cancers, is renowned in the world of alternative medicine. These are not mushrooms you see in a supermarket or farmers market; they are gifts from the Creator of the universe. 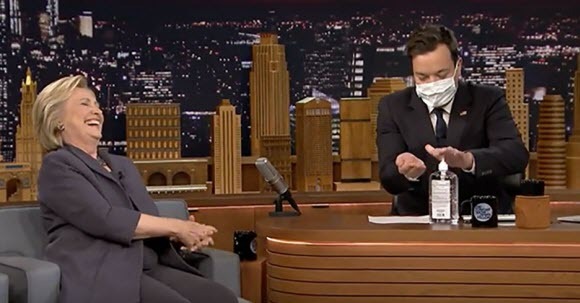 Pneumonia was on everyone’s mind last week when Hillary Clinton abruptly left a ceremony honoring the 15th anniversary of the Sept. 11 attacks. As any politician would, she downplayed the situation, saying she was dehydrated and admitted she did have a mild case of Walking Pneumonia. Well, let me tell you, Pneumonia, is no laughing matter! Pneumonia can be caused by bacterial or viral infections. Antibiotics are prescribed for bacterial causes of pneumonia, but are becoming less effective, as antibiotic resistance increases due to overuse. For viral causes, antibiotics are completely ineffective! The best way to beat pneumonia is not to get it in the first place! How? By adopting daily practices that develop and support a brutally strong immune system that can ward off bacteria and viruses, before they have a chance to take hold. If you happen to get pneumonia, or know someone who does, follow these 10 easy steps to beat it! I’ve said it countless times – there is no Magic Bullet to beat any disease. It takes a total program to address and overcome the condition. Many years ago, we developed our Winter Wellness Program, initially in response to the Swine Flu epidemic. We take pride in the fact that our customers who followed our Program, we did not get one single report of Swine Flu, so we updated the program to address the onslaught of colds and flu virus that start making the rounds every fall. My 10 Steps for Pneumonia are pure gold in it’s value. Print it out, follow it and not only will pneumonia not stand a chance, you can kiss the common cold and flu goodbye too! 1. Drink more water. Our body composition is 74% water. Fluid and electrolyte balance is a major function of homeostasis (balance), which is our body’s ability to maintain its internal environment as it adjusts to challenges and stress. Tip: Drink hot lemon water with a slice of ginger root throughout the day. 2. Eat as much curry as you can. Curry contains curcumin from the Turmeric root, a potent anti-microbial and anti-inflammatory compound. For added boost, get our Super Curcumin C3 Complex, a special, patented curcuminoid extract that is revered for its high bio-availability. 3. Take our Super AKG Shark Liver Oil gel caps, containing the secret of the shark’s profound immune defense system. Take 1 daily for overall immunity, up to 9 daily in times of need. 4. Eat fermented foods like Kimchi, Sauerkraut and Kombucha containing healthy bacteria called probiotics. Avoid dairy-based yogurts, as the probiotic benefit is minimal and dairy worsens the problem by creating mucous in the lungs and bronchial tracts. For a powerful probiotic boost, get our Pro-Biotic Max formula with 25 Billion live probiotics per capsule. 5. Load up on Vitamin C. Kids will like Emergen-C packets, or purchase 1,000mg vitamin C tablets at your grocery store. Take 1 packet or tablet several times daily, to bowel tolerance. 6. Have an Epsom Salts bath. Make up a very hot, pure water bath and add 1/4 cup of Life Transfusion Liquid Minerals, a handful of Epsom Salts and 1 Tbsp Eucalyptus Oil or Vicks Vapor Rub and soak for 30 minutes. Repeat up to 4 times daily. 7. Have an Infrared sauna or steambath and breathe deeply. This is an amazing detoxification for the lymph system. 8. Take a nap! When fighting pneumonia (or any immunity condition,) your body needs rest. Let go of the need to power through it and push your body. Allow yourself to rest by taking several naps a day. 9. Eat more watermelon and tomatoes, as both contain a potent carotenoid called lycopene. With tomatoes, use fresh, cooked tomatoes. The heating increases the body’s uptake of lycopene. 10. Get 20 minutes of sunshine every day to stimulate vitamin D production. Our Ultra D3 formula is the most potent available on the market! Secrets from the Deep Ocean Depths! As many of you know, I devour every tiny tidbit of information about treating and preventing cancer. My passion for over 20 years in the field of alternative medicine, has been to spread the amazing healing powers of the oceans. In the past decade, I have not had one single cold or the flu. No dangerous flu shots or antiobiotics. How do I do this, when everyone around me is coughing and sneezing? It’s simple – Super AKG Shark Liver Oil. When I first was told by a leading marine scientist, Dr. John Croft of New Zealand, who has led the world in the medicinal study of the shark species, that shark’s just don’t get cancer, the news literally floored me. Inside the shark’s immune system is a brutally efficient and powerful immune system compound called “Alkyglycerol” or “AKG”, for short. This compound, also found in mother’s breast milk by the way, is the key to the shark’s amazing longevity. Is this the great missing link in the treatment and prevention of cancer, along with all immune system diseases? Decades ago, marine biologists discovered an amazing species of deep-water sharks inhabiting non-polluted oceans and possessing a superior immune system resistant to many of the diseases that plague mankind. Further research, over the next 20 years, unveiled that these remarkable mammals carried up to a gallon or more of golden-hued liver oil, which contained potent Alkoxyglycerols (AKGs) and Squalene. These precious constituents, when ingested orally by humans, activate and enhance the body’s immune defense system, stimulating the formation of antibodies and thus increasing the number of white blood cells, killer cells, and thrombocytes in our blood. From the pristine, unpolluted waters of Antarctica and New Zealand, Super AKG Shark Liver Oil enhances the human body’s lymphatic immune defense system by stimulating the formation of antibodies, thus increasing the number of white blood cells. The alkoxyglycerols and squalene contained in our Shark Liver Oil formula are of the highest concentration and purity available. The technology employed by a renowned Norwegian laboratory is a proprietary process for extracting shark liver oil without the use of heat or chemicals. The process safeguards the purity and potency, making it one of the most effective immune boosting products on the market today. Cancer-Proof Your Body Like a Shark! IMPORTANT: We do not kill sharks for the purpose of harvesting the oil from their liver. The oil is a by product from sharks which are caught, along with many other species of fish, for food. Further Tips for Building Your Immune System! Walk every day for 45 minutes, this boosts the immune system very quickly. Have my Shiitake Mushroom Miso Soup at least three times a week to further boost your immune system. It works far better than chicken soup. Use crushed garlic with Extra Virgin Olive Oil (from Apollo Olive Oil) as your immune boosting salad dressing. It works wonders and tastes wonderful. Add our super-potency Ultra D3 formula for a two-pronged attack on immune dysfunction. Combining Vitamin D with Shark Liver Oil is a knockout 1-2 punch for building a strong immune system. Take a moment to listen to my Radio Interview explaining how these 2 super nutrients combine to build your front-line defense. Flu Season Starts, When the First Flu Shot is Given! Don’t get fooled by the “Flu Shot Fantasy”! It’s a total scam. Flu shots just don’t work. How can they? Having a flu shot is total madness when it is based on last year’s virus! It’s impossible to pinpoint the flu virus months in advance. The influenza virus is constantly changing, adapting, every single day. Begin by consuming more LIFE-GIVING foods. Start today and consume more fruits, vegetables and especially fermented foods. Immunity starts in your gut. Foods containing live bacteria (called Probiotics) and beneficial digestive enzymes give your body the strength to fight all disease. Steer clear of fast food and processed foods, especially as we approach the flu season. Quick-fix foods do not give you life, instead they take life from you, requiring extra energy to process and excrete from your body. Remember the old adage, An Apple a Day Keeps the Doctor Away. Making just one positive change daily will boost your energy and provide your body with the power to fight off this season’s cold and flu attacks. Where Does the Flu Start? Whatever you think about how to keep your body healthy, from diet and exercise to supplements, you may be missing the mark if you don’t take care of this one simple piece of the health and well-being puzzle. Protection from flu and most other viruses does not start in the respiratory system. It starts in the gut! 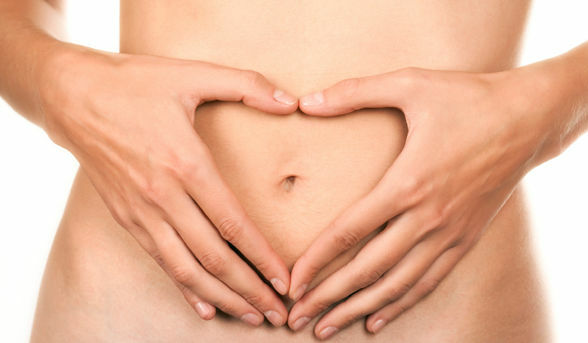 The gut is the center of our immunity universe. Our bodies were created to miraculously heal themselves. The body’s plethora of systems work closely together to keep you at optimal health. When one system is off balance, it triggers a domino effect, potentially igniting an avalanche of chronic health problems. The primary system responsible for your overall health and well-being is your digestive system – or gut. 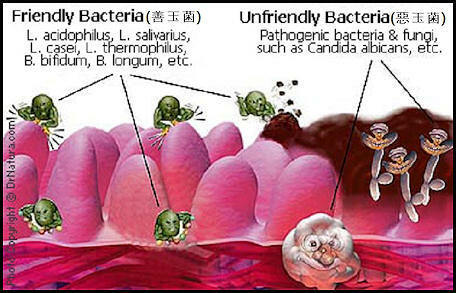 The gut depends on good bacteria and specialized immune cells, called T-cells, to do an effective job. And the most important thing to know is this: The gut is your 30-foot long immunity headquarters! AND, it holds the largest concentration of mood-altering neurotransmitters, like serotonin, in your entire body! Don’t Wait to Get Sick – Fight Back Now! Pro-Biotic Max contains a 10 different strains of 25 Billion live probiotics or “friendly bacteria” per capsule to support gastrointestinal health, promoting the absorption of nutrients in the stomach and intestines, as well as improve elimination of toxic compounds. Be Flu-Ready by improving your gut health today! We’ve bundled our 4 top-selling immune system formulas into the Winter Wellness Kit to provide a boost to your immune system before the cold & flu season arrives. Save 10% over purchasing separately! Kids need protection too! We have bundled 3 “kid-friendly” formulas for any child over 2 yrs or age that are easy to chew and swallow into the Kids Viral Shield. There is a reason that the chicken noodle soup that your mother and grandmother made you feel better. I’m sorry to say, it wasn’t because of the the chicken! There are several flu-fighting ingredients that are found in chicken noodle soup: garlic and onion are particularly effective in combating illness and bacteria of all kinds! You don’t have to make chicken noodle soup to receive the benefits of the top Flu Fighting Foods! When you are feeling under-the-weather, use these foods to help you to fight back! Garlic – this pungent superfood is a powerful flu fighter. Garlic contains compounds called allion and allicin, which have direct anti-viral effects. Onion – like garlic, onions also contain the antimicrobial compounds allion and allicin. Eat raw to get this superfood’s full flu-fighting action. Spices – turmeric, cloves, cinnamon and ginger are packed with antioxidants, which help to improve the function of the immune system. Add these when cooking or to a hot cup of tea. Blueberries – all berries have high concentrations of antioxidants to help fight off flu viruses, but blueberries pack a big punch! When tested against other foods, blueberries were found to have more antioxidants than 40 other fruits and vegetables. Years ago, when I lived near Tampa, Florida, I had the good fortune to meet Rose Kalajean, a master herbalist, animal rights advocate and natural therapies healer. She has a seven acre organic herb farm and is highly skilled in the knowledge and uses of herbal medicine. Visit her website and sign up for her newsletters – they are a wealth of information. 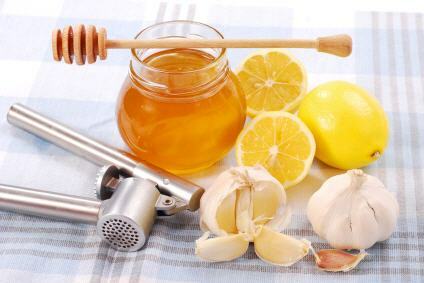 Rose has a natural antibiotic syrup made from lemon, garlic and honey that works wonders. I always recommend it for people with suppressed immune system conditions, as well as for general immunity, lowering cholesterol and blood pressure. Kid’s can take it too, but I recommend for children to mix in hot water and sip. Click here to print a copy of the recipe. Add to blender or food processor and blend until to a smooth, thick paste. Pour into a glass jar with a good lid and store in the refrigerator. For general immunity, add 1/2 teaspoon to a cup of hot tea or hot water and drink. Repeat up to 3 times per day as desired. For colds, flu, chest congestion or sore throat, gargle with 1 tsp to one-half cup of hot water. Repeat every 2 hours during the day and before bed. Charlotte Figi was 3 months old when she had her first seizure. By the time she was five years old, she was having 300 grand mal seizures every week – her seizures were so violent, her parents signed a ‘do not resuscitate’ order in her medical records. Her parents never gave up, even though she was in a wheelchair, had feeding and oxygen tubes, and was seizing every thirty minutes, 24 hours a day. 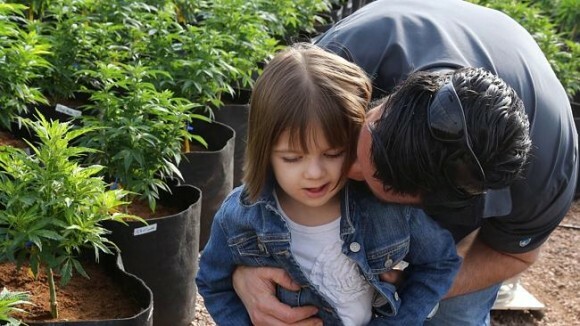 Charlotte’s mom heard about a strain of medical marijuana that was very low in THC content, the psychoactive agent in marijuana, and very high in Cannabidiol (CBD), a compound in cannabis that has incredible medicinal value, but doesn’t get people stoned. After years in which only high-THC cannabis was available, CBD-rich strains are now being grown by, and for medical users. Charlotte’s mom and dad discovered the Stanley brothers, one of Colorado’s largest marijuana growers. Charlotte’s parents put an olive oil solution containing high CBD extract under her tongue and today, 6 year old Charlotte is thriving. Her seizures have decreased to only two or three times per month, mostly in her sleep. Not only is she walking, she can ride her bike, feed herself and is talking more each day. Miraculous. Without the psycho-activity associated with marijuana, CBD-rich cannabis makes it an appealing treatment option for patients seeking relief from inflammatory, pain, anxiety, and anti-psychotic effects without any of the side effects of the THC content. It is safe for anyone to use because the oil is derived from hemp, rather than from marijuana, and legal in all 50 states and 40 countries! Are you feeding disease or fighting it? Think about what you ate yesterday. There is a 100% chance your food choices contributed to either greater wellness or greater risk of disease. Our bodies were created to miraculously heal themselves and the plethora of systems work together to keep you at optimal health – so when only one system is off balance, it triggers a domino effect, potentially igniting an avalanche of chronic health problems. The primary system responsible for your overall health is your digestive system – or “gut” – and all the food you eat and drink have a significant effect on your gut. IMPORTANT FACT: The gut is your 30-foot long immunity headquarters. Everyday we are bombarded with contaminants that disrupt the delicate balance in our gut and digestive system, which in turn significantly affects the immune system. If you’ve ever taken antibiotics, you know these drugs kill ALL living bacteria – good and bad. Over-the-counter anti-inflammatory medications like Advil, aspirin, Motrin, etc. disrupt normal digestion, as do chlorinated water, birth control pills, synthetic hormones, the list goes on and on. All of these, and many more, throw our internal ecosystem out of balance. Our immune system fights so hard to stay healthy and balanced, that you may not even notice any imbalance for years – but believe me, it will eventually catch up to you. Bill Gates. Ebola. The Flu. and You. 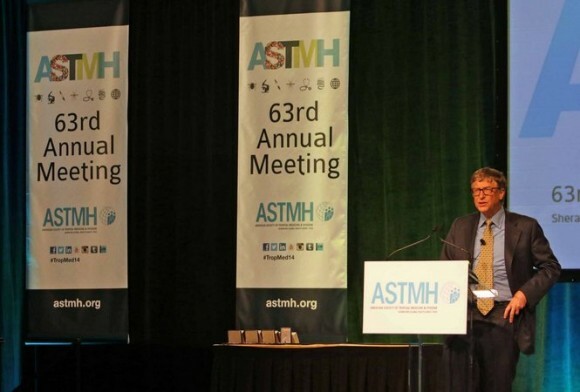 The Wall Street Journal reported yesterday on the American Society of Tropical Medicine and Hygiene conference Bill Gates attended, and spoke about the Ebola crisis and the massive lack of preparedness of the world for a global epidemic. “The world as a whole doesn’t have the preparedness for epidemics, and we’ve had a few flu scares that got us to do some minor things, but not enough,” he said. No one from West Africa was admitted to the conference because of the risk, and what Mr. Gates should have talked about was the lack of 2 essentials that could limit the spread of this, and every other potential global epidemic. If West Africans knew about taking Vitamin D3 and Shark Liver Oil, things would be much, much different! It’s nearly impossible to get sick when you load your body with these super-powerful, immune boosters. WITHOUT D3, OUR IMMUNE SYSTEM IS RENDERED NEXT TO WORTHLESS. You see, the D3 works like a light switch to TURN ON the body’s T-cells. T-cells are our FOOT SOLDIERS that go into battle to fight infections and viruses, and this is exactly why so many young men and women were lost needlessly during the AIDS crisis. No T Cells, No Life. A major 15 year study in Scandinavia found that high D3 levels in the bloodstream instantly turned on the T Cells, and BINGO, the immune system is activated. This is still not a widely known fact, even in medical circles, and this is also why D3 levels are so important to fight horrors like HIV/AIDS, the Flu and Ebola. Vaccines DO NOT CONTAIN ANY VITAMIN D – Now ponder that a moment. That means the vaccines CANNOT work as they can never activate our basic defenses! If Bill Gates, the richest man in the world is listening right now, please get out your checkbook and donate a million bottles of our Ultra D3 to the Ebola Crisis Center in Liberia, Sierra Leone and all of West Africa. Along with a clean hands and a no kissing campaign, vitamin d can boost immunity, and help to contain continuing transmission. We carry two unique Vitamin D products I strongly suggest everyone take from now until June – one is our best selling, high-potency (5,000iu) Ultra D3 and the other is a small, 2,o0oiu, kid-sized gelcap simply called Vitamin D3. 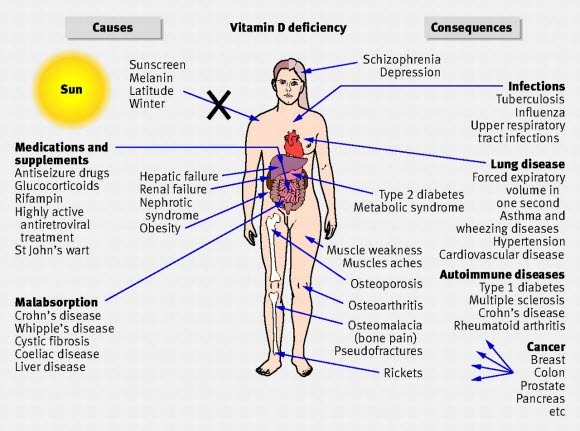 Why would you get some cheap, off the shelf, less effective vitamin D product, when you know you need the best, most powerful vitamin D in the world, that can help shield against Ebola AND the common cold? And, Bill Gates – buy a few bottles for yourself and Mrs Gates so you can enjoy your billions a good ten to twenty years longer. We’ve created a spectacular Winter Wellness Kit containing the 4 essential formulas – Ultra D3, Shark Liver Oil, Immune Support and Respiratory Lung Health – for boosting your immune and respiratory systems to battle colds, flu and more this winter – and wholesale priced so you can protect yourself and your friends and family. We’ve also bundled our 3 essential, kid-friendly, immune-boosting formulas – our Kid’s Gummies, Shark Liver Oil, and Vitamin D – in a Kid’s Viral Shield Kit to help protect your children from any viral assault this season.